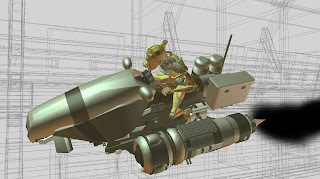 Moragot's Art: Jet Bike animation update, now with more crashing! Jet Bike animation update, now with more crashing! Here's my most recent update for my current animation project. Give it a moment to load before you view it, the file is 22 mb.